Middle Georgia State University on March 1-3 welcomes a visiting review team from the Southern Association of Colleges and Schools Commission on Colleges (SACS-COC). SACS-COC is the regional body for the accreditation of degree-granting higher education institutions in the Southern states. SACS-COC accreditation is required of all institutions in the University System of Georgia. The visiting team is charged with reviewing Middle Georgia State's two new master's degrees, which began classes in January 2016. In late 2015, SACS-COC granted the University permission to begin admitting and registering students for the graduate programs, which are a Master of Science in Information Technology and a Master of Science in Nursing: Adult/Gerontology Acute Care Nurse Practitioner. The nursing education program is a candidate for accreditation by the Accreditation Commission for Education in Nursing. A follow-up SACS-COC visit and review are part of the process for reaching full accreditation after new degree programs are launched. After completing its review, the visiting team will prepare a written report of its findings and make a recommendation to the Commission on Colleges regarding Middle Georgia State's change from a Level II bachelor's degree granting institution to a Level III master's degree granting institution. For more information about Middle Georgia State's graduate programs, see the Office of Graduate Studies webpage at http://www.mga.edu/graduate-studies/. 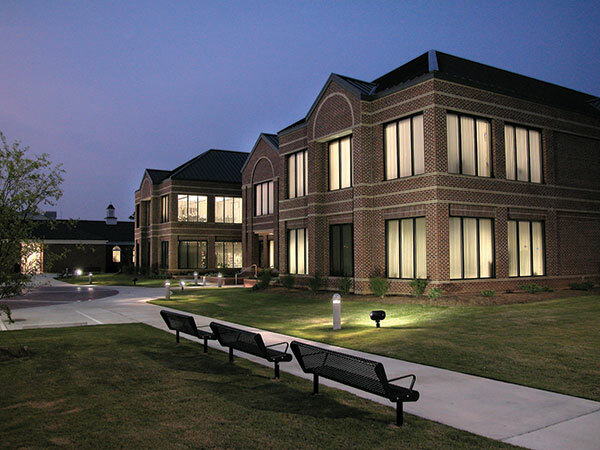 Photo: MGA's Office of Graduate Studies is based on the Warner Robins Campus.